During initial consultations I find myself addressing several misconceptions about hypnotherapy prevalent among men, women and children. 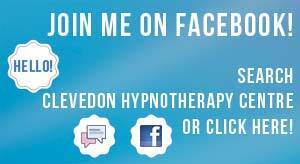 Having listened to the concerns of a prospective clients I always ask if the person knows anyone who’s had hypnotherapy for any reason. If the prospective client doesn’t know anyone who’s had hypnotherapy and knows little or nothing about the process, I often have to offer reassurance that they won’t be asked to watch a swinging pocket watch and be asked to make chicken noises. While thus reassured, the person is then helped to understand that I can’t waive a magic wand either. Occasionally, this comes as a disappointment but the prospective client then understands I only help them achieve what they want to achieve. It’s about trust and co-operation. Invariably we then go forward with clarity and confidence.